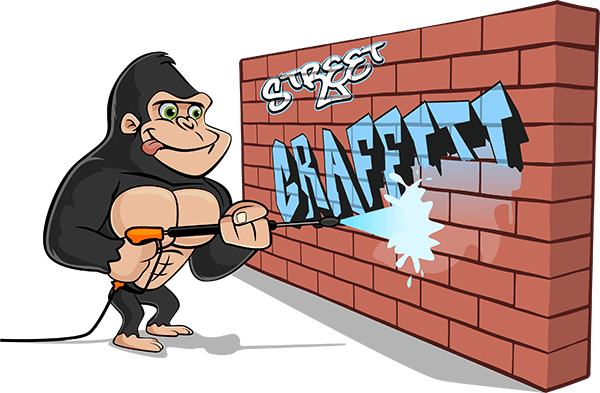 Our New Westminster graffiti removal service keeps our Gorillas on the move! With its many parks and railway areas, a quick drive-by is simply not enough. A Gorilla checks every path and trail through the parks and green spaces of New Westminster. Our Gorillas walk every path and trail throughout the parks and green spaces of New Westminster. This is vital to ensure structures are kept graffiti free. If new tagging is discovered, our Gorillas are fully equipped at all times. A technicians deals with graffiti swiftly. The Gorilla Property Services office also experiences a high call volume for the railway lines and industrial areas of New Westminster South. These areas are usually quiet and empty, particularly outside of regular business hours. Quiet spaces make ideal environments for taggers unless you make it clear they will not be tolerated! Our New Westminster graffiti removal service can help. 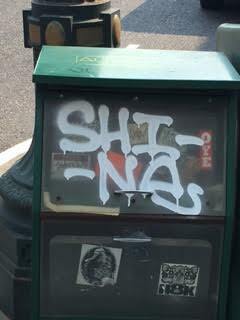 Patrolling these areas regularly and clearing surfaces of tags is the key to success when it comes to any graffiti removal program. The downtown core of New Westminster (6th and 6th) is no different than any other city. It has its fair share of both businesses and residential properties. Alley ways and parking lots give invitations to graffiti taggers, when not properly monitored. Call outs for our New Westminster graffiti removal service have remained consistent over time, with the odd spike here and there. At Gorilla Property Services we know patrolling neighborhoods and industrial areas, on a regular basis, is crucial in keeping New Westminster graffiti free.